You’ll soon find that there’s more to Orlando than theme parks. 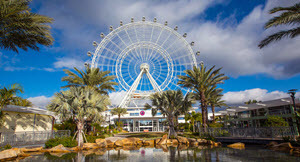 Find some indoor and outdoor fun with our suggested list of attractions and things to do during your vacation in Orlando. Swim with dolphins, do some outlet shopping, and most importantly, discover all that the sunshine state has to offer. 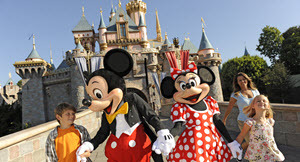 Take a look at our Orlando Vacation Package options and then let Vacations by Marriott help plan a memorable trip! Easily the number one attraction in Orlando are all of the theme parks. Families worldwide rush to Orlando to visit The Wizarding World of Harry Potter, Walt Disney World, Magic Kingdom, Universal Studios—the list could go on and on. With near-perfect weather and a cluster of amusement parks within a short distance of each other, vacations will be chock-full of twists, turns and more loop-de-loops than you can get enough of. Orlando is home to more than 170 golf courses, 20 golf academies plus a number of well-know and prestigious tournaments, including the Golf Channel Am Tour and the Arnold Palmer Invitational. 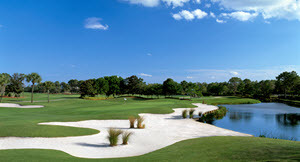 Book a T-time and hit the links at one the many courses, and surround yourself by palm trees and a warm breeze. We’re sure you’ll play your best game yet. 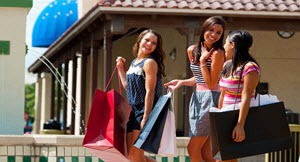 Orlando is a shopper’s paradise, full of malls and outlets packed with the newest designer fashion and name brands. Spend some time at The Mall at Millenia and The Florida Mall full of department stores. Or, do some outlet shopping at Orlando International Premium Outlets or at Lake Buena Vista Factory Stores. Whatever your pleasure, you’re sure to go home with the latest fashion and merchandise to keep yourself and the lucky recipients happy and in style. There’s more to in Orlando to keep you busy than theme parks. There’s all sorts of fun attractions. Adrenaline junkies can get their fix with indoor skydiving at IFLY Orlando, or you can watch the stunning acrobats with a Cirque de Soleil performance. If you’re more outdoorsy, visit the wildlife sanctuary that is Gatorland, with thousands of alligators and crocodiles to see, plus an aviary, breeding marsh with an observation tower, a petting zoo, nature walk and much more. Orlando may not be on the coast of Florida, but that doesn’t mean it’s not full of water fun. 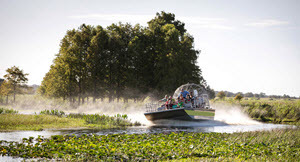 You can swim with the manatees at Crystal River, swim with bottlenose dolphins at Discovery Cove, ride on an airboat through the swampy wilderness at Orlando Boat Tours or rent a jet ski and make some waves of your own. At 40 square miles large, the Walt Disney World Resort area is so big that it could fit all of Manhattan within its confines. Even though few knew of Orlando before Disney World opened in 1971, the city of Orlando was incorporated in 1875 and was known for its cattle ranching. With 95 individual attractions, and hundreds to do at each one, it is estimated that it would take 67 full days to experience all that Orlando has to offer. Florida is known as the “Sunshine State,” and visitors enjoy an abundance of sunny days in Orlando. Between November and April, the weather is delightful, with pleasant temperatures generally ranging from the 60s to the 80s (Fahrenheit) and lower humidity. But Orlando’s climate is considered “subtropical,” which means high humidity, rain from time to time and temperatures exceeding 90 degrees Fahrenheit from late spring and throughout the summer months. So it’s always a good idea to have an umbrella handy if you plan to explore Orlando during the summer.